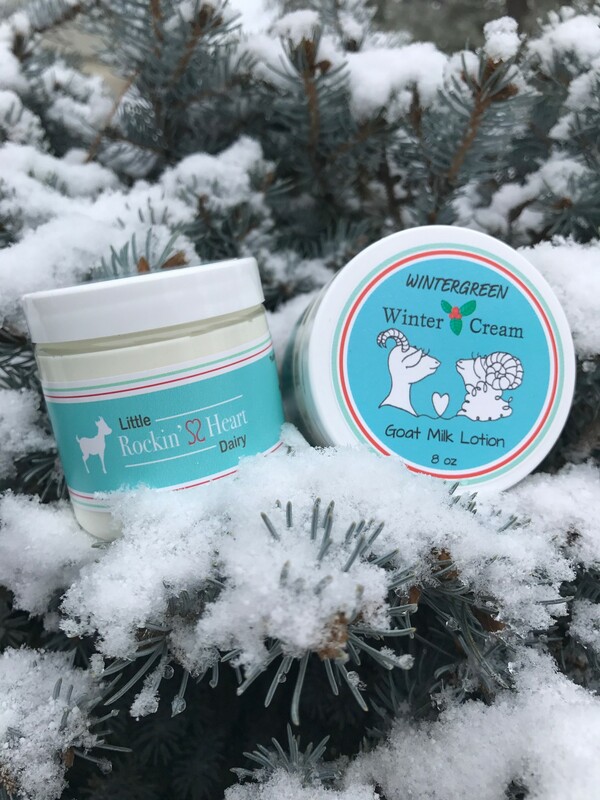 This rich protective cream is specially formulated to protect and prevent the dry painfully cracked skin that is particularly troublesome to folks who work outdoors in the winter weather and/or people who must wash their hands frequently and suffer from cracked red painful skin. The addition of extra emollients and lanolin put extra moisture into your skin, (transported into the epidermal layers by the smaller protein and lipid (fat) molecules in the goats milk) and keep it there! 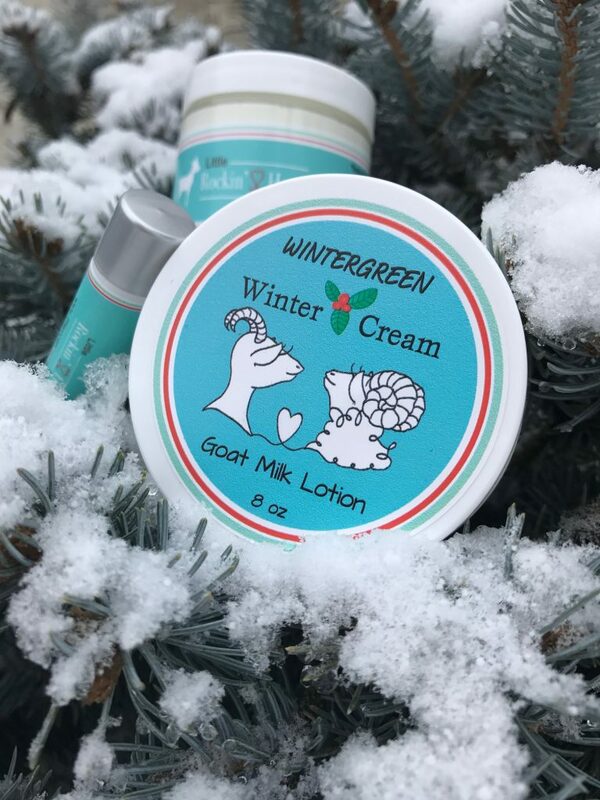 This magical Winter Cream is sold in 4oz jars for $8.50 or in 8oz jars for $12. It has a fresh Wintergreen essential oil fragrance! You can order our rich Winter Cream on our store by clicking the ‘Shop’ tab above!